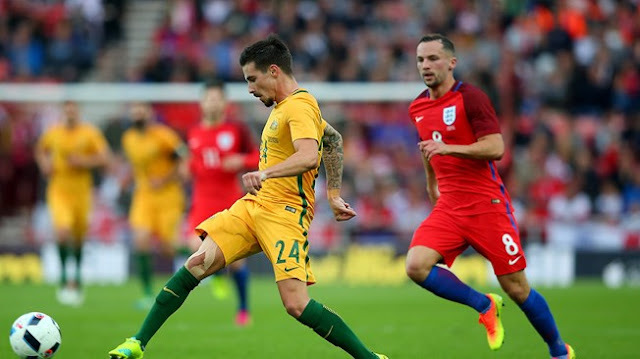 Jamie Maclaren: "I always strive to achieve bigger things"
Home » soccer 24h » Jamie Maclaren: "I always strive to achieve bigger things"
Australia will open their Russia 2017 campaign against Germany in Sochi on Monday, before further group outings against Cameroon and Chile. Next season the 23-year-old will line up at Bundesliga 2 side Darmstadt, adding another small sub-plot to the Socceroos match-up against the world champions. “Competing at Russia against teams that have won the World Cup, the EURO, the South American champions - it is the kind of thing you dream of doing as a kid,” Maclaren told . Next season the 23-year-old will line up at Bundesliga 2 side Darmstadt, adding another small sub-plot to the Socceroos match-up against the world champions. Two hugely productive seasons have left Maclaren with an extraordinary record of 51 goals in 70 A-League starting appearances. He concluded the recent campaign with Brisbane Roar by collecting a share of the competition’s golden boot, becoming only the third Australian to win the award over the past nine seasons. The accolade added to an already bulging sideboard which includes two A-League Young Player of the Year awards. My parents have done a lot for me,” Maclaren said, referencing his mother taking the aspiring professional on a two-hour round-trip every weeknight night for training. “As a young kid, they spent a lot of money making sure I had everything I needed. It is something I am very thankful for. “My parents believed in me. Every time I take the field I feel blessed because of what they have done for me. People don’t realise the person I am today is because of what happened 15 years ago.